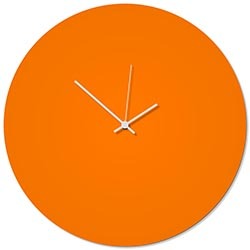 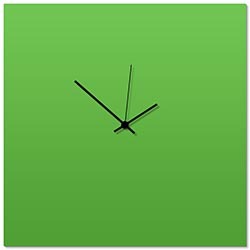 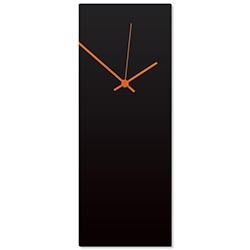 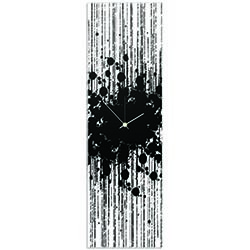 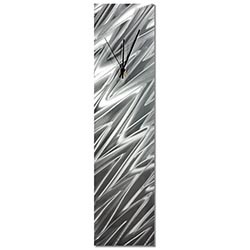 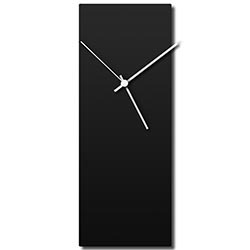 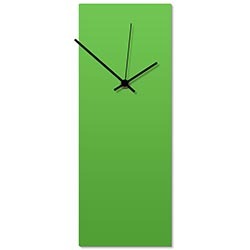 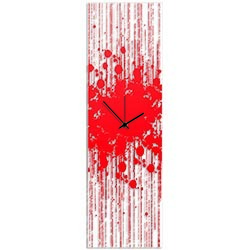 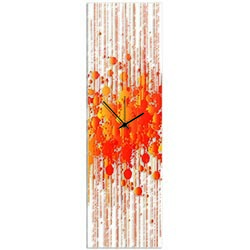 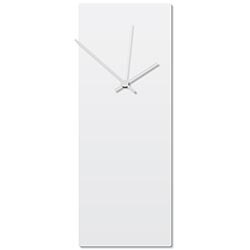 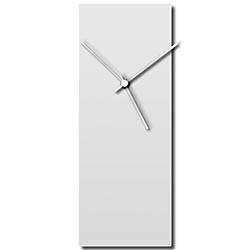 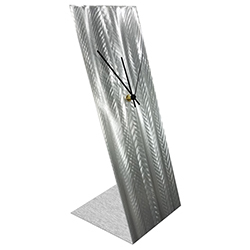 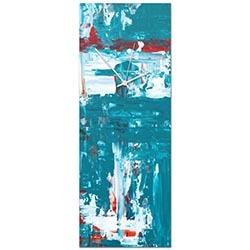 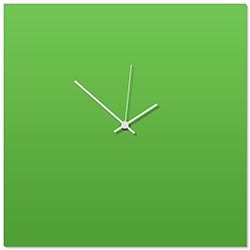 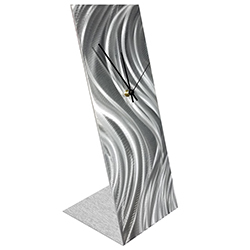 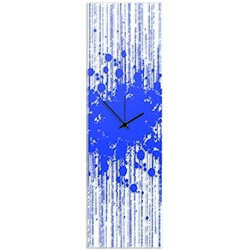 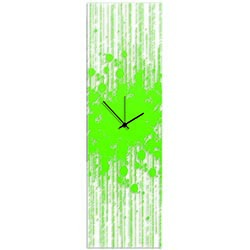 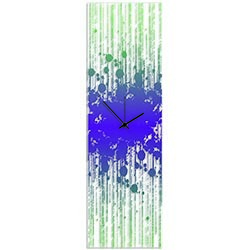 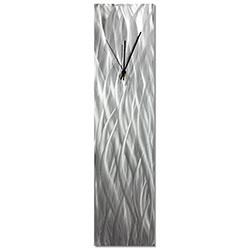 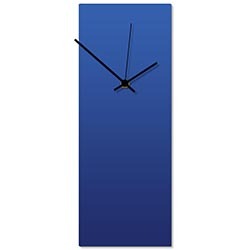 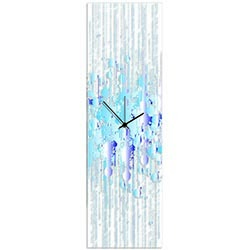 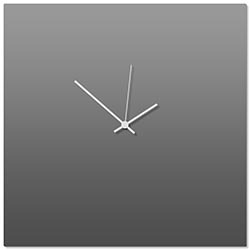 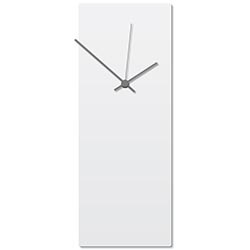 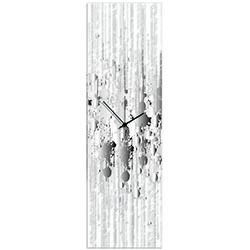 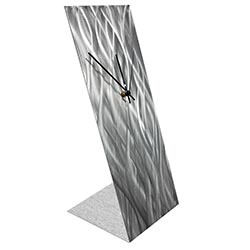 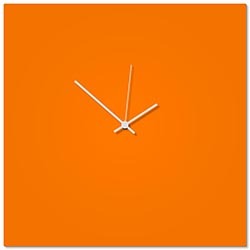 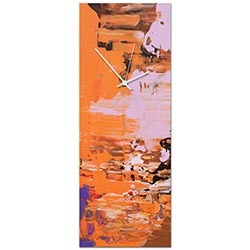 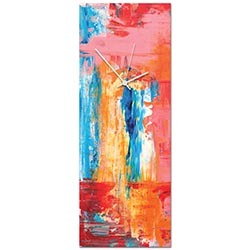 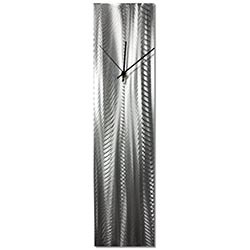 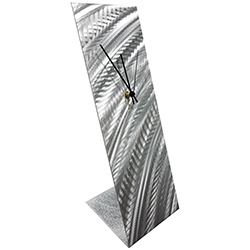 In our opinion, modern wall clocks are one of the best decorating elements you can buy: they are the easiest to justify as they incorporate functionality (time keeping, of course,) they come in all shapes and sizes, they are a great way to add a pop of color and texture to your wall, they compliment (rather than compete with) wall art and furniture, and yet they still have the ability to make an artistic statement in their own right. 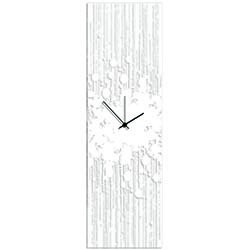 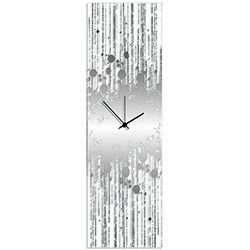 When we design a wall clock we try to take all of those factors into consideration. 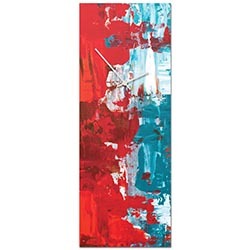 Obviously our style leans toward modern, contemporary and urban, so you will find a variety of minimalist designs, abstract patterns, bold accent colors, and even some mid-century modern clocks. Our goal is to create wall clocks that fit your style, rather than the generic clocks that flood the shelves of retail shops. 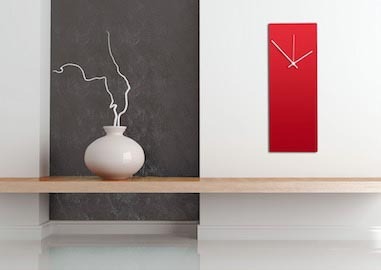 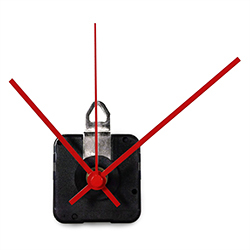 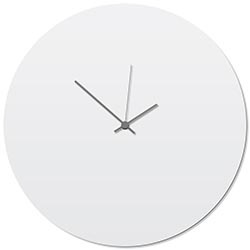 We are able to customize size, colors and other details of our modern clocks, including even the type of motor: standard/quartz, continuous sweep (non-ticking,) and even atomic clock motors. 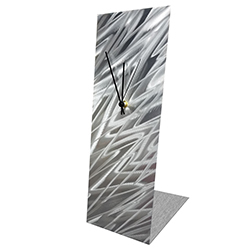 Feel free to contact us for customization requests.